Your personal brand influences what your boss and clients perceive as your value — are you in charge of the message you're sending? Personal branding is essential, whether you are just starting out in your first job, or moving up a rung on the career ladder. It’s something you need to work on so when you ask yourself the question, “Who am I?” you’ll know the answer and be able to communicate it clearly and concisely. Some people confuse their personal brand with their “elevator speech.” The term elevator speech trivializes an important process that will help you understand exactly what makes you stand out from the crowd. Your brand influences how important internal and external audiences, including your boss, your customers and prospects perceive you and what they think you have to offer them. 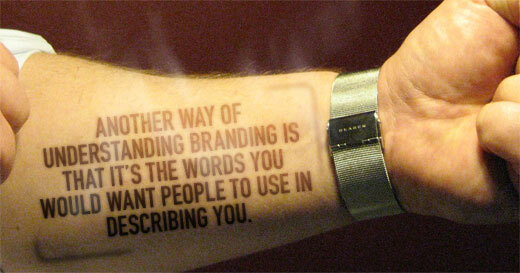 Another way of understanding branding is that it’s the words you would want people to use in describing you. Branding is what sets you apart from your competition. Let’s look at the brands of some famous companies and people. FedEx, for example, is positioned as the company that you can rely on to deliver your package by 10:30 tomorrow morning. Absolutely, positively. Google is the leader in search, and continues to be. The advent of new competition has hardly made a dent in its market share. People, like companies, have recognizable brands, too. What is your impression of the singer Britney Spears? Is it different from the way you perceive Mother Teresa? How about Sarah Palin? Her brand positioning is fuzzy right now. People don’t know quite what to make of her. It doesn’t help that some former members of John McCain’s campaign staff are trashing her. How you and the services you provide are perceived in the minds of the people in your company, your clients and prospects. Most people will already have a fixed idea in their minds about you. Individuals are often identified with pre-fixes: i.e. : Harvard MBA, Nobel Prize winner, Playmate-of-the-month, 350-hitter, salesman of the year, etc. If your particular target audience has no preconceived ideas, then you have the opportunity to develop your personal brand as you would want it. 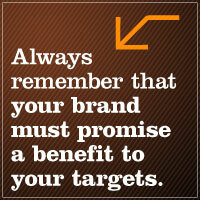 Always remember that your brand must promise a benefit to your targets. Your personal brand must be simple and easily understood. Two or three of your key attributes should distinguish you from your competition. Your targets must be able to grasp your brand quickly and translate it into “What’s in it for me?”. As you define your brand, think of the attributes that set you apart from your fellow employees or with representatives of other companies who may be calling on your customers. Take some time to give serious thought to your strengths. Write them down. Do a web search of articles and mentions of your competitors to read if anything is being written about them. Are certain words used repeatedly? Look up their names on LinkedIn and study the words they use to describe themselves in their profiles. Now – and you knew this was coming – do a search on yourself. Go through the same exercise and see what people are writing or saying about you. What are you saying or writing about you in social media and in personal meetings? What are the ingredients of a personal brand? Now that you’ve done some soul searching about yourself and research on your competition, get specific about the particular attributes that you can draw on in developing your personal brand. Technical expertise. This can be a real differentiator. If you have a special skill that is unique to you in your company, this can be a real winner for you. Find a way to weave it in your brand statement. Industry specialty. Suppose you are looking for a new job. You’ve hit a wall in your first job, and it’s time to move on. If you have experience in an industry that is always in need of skilled people like you, then play that up in your brand statement. Academic credentials. While you’re still in your 20's where you went to school is still one of your most important qualifications before you’ve had the time to acquire the experience that will eventually supplant your academic credentials. In the meantime, Harvard, Yale and the other Ivies, and highly technical schools like Cal Tech and MIT, still impress recruiters. And, in fact, will still impress the people who can help move your career forward in your current company. Awards and recognition. Did you earn any special awards in college? All-American in (name the sport), Phi Beta Kappa? Reputation of your current company. If you are working for a Fortune 100 company, that will mean something to a potential employer. If your company offers better/more/unique services, that will go into your brand for potential customers. Your “wins.” Even within your own company, bringing in some big and profitable clients will greatly enhance your personal brand as you seek to get promoted. After you have analyzed your key capabilities, you will need to put them into words that communicate the essence of your brand. Be particularly aware of presenting yourself with an eye toward what’s in it for the listener. Your brand statement is the “grabber” that that will compel your listener to want to hear more. “This is Peter Quick with the Quick & Jones law firm. I recently returned from a five-year tour in our Moscow office. We’re the only full-service American law firm there. I have a first-hand understanding of what it takes to set up a company in Russia.” Here, your brand is based on your personal, unique experience of having worked on the ground in Russia. Jeannette Paladino helps companies and individuals to develop their brands and the key messages they want to communicate to their target audiences. She brings a company’s values, strengths and messages to life with effective business writing that is clear, concise and compelling. She is the Writer-in-Chief of Write Speak Sell. Wow, this article is so valuable. I would add that your image is a large part of your personal branding. You can have the greatest credentials and speak perfectly, but if you don’t look the part, people may not listen further. Thank you for the valuable advice Jeannette. Jeannette, this is one of the best personal branding blog posts I’ve read in a long time. I agree with much of what you’ve said here about your brand being simple, distinguishable and the old “what’s in it for me” piece. Jeannette, this post is brilliant. I’m actually going to cross-post it on my coaching and development blog tomorrow. No worries, I’ll have your byline and all links and a credits. This is such a paramount issue. With the new economy causing people to start focusing on what they can bring to a company or customers, personal branding is the most often overlooked piece in the puzzle. I’ve read a lot of articles on it, and this one gets my vote for best.